As a small business – you have big concerns. Not only do you have to worry about maintaining inventory and filling customer orders, but you also want to build your brand. Every business wants to be profitable and succeed, therefore most efforts are put towards tactics that support the sales of products. Decisions must be made about where to place investments – and business owners typically choose low overhead operational costs. 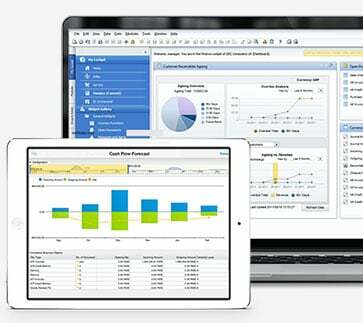 In the early stages of operations – simple accounting packages such as QuickBooks or Sage 50 make sense. They have enough functionality to support your business early on – but once your business begins to grow, your needs change. Your focus shifts from winning customers to building profitable relationships with your existing customers. It is important to understand your business and recognize key signs that you may need to invest in an enterprise resource planning (ERP) solution. Issues such as lack of visibility into your business, or rising inventory levels but the inability to meet customer demands are causes for concern. You have more data and records – therefore you need better systems to manage this. Manual data entry and basic reporting simply doesn’t fit the bill anymore. What once worked becomes a hindrance to your business. Business owners often use these software packages beyond their lifespan and delay replacing with a more robust ERP solution. Misconceptions about the cost and accessibility of ERP can deter small businesses from investing and cause them to hang on to their software packages longer than they should. The truth is, ERP solutions are designed to be affordable for small to midsized business (SMBs) and deployment options are flexible. ERP provides greater functionality to your entire business, and unlike accounting packages, it can capture critical business information for immediate access. 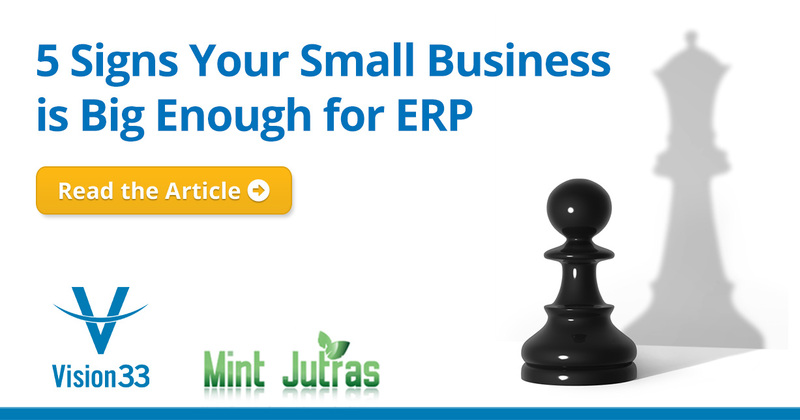 The question for businesses becomes can you afford not to invest in ERP? Read the eBook, ‘5 Signs Your Small Business is Big Enough for ERP’ to understand the telltale signs that your business possesses the sophistication and complexity to benefit from an ERP solution.